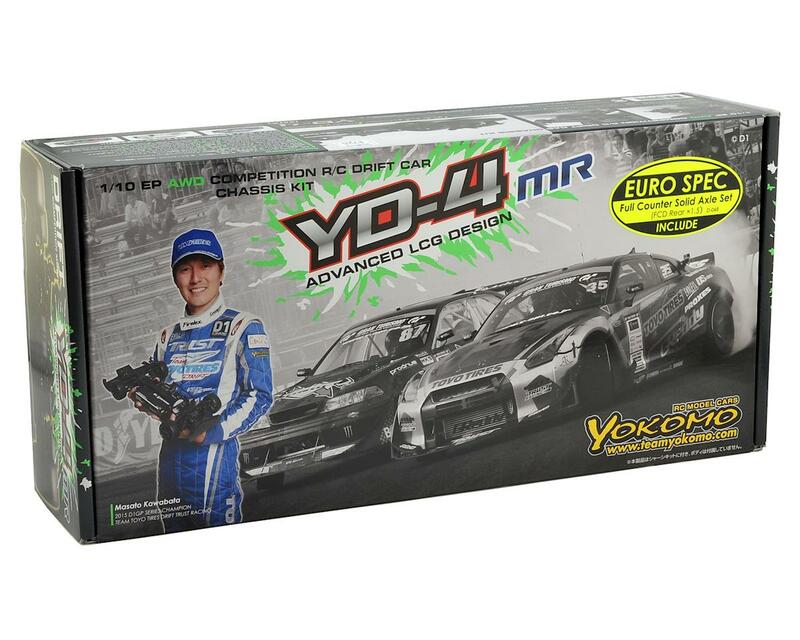 The YD-4 MR Competition Drift Car Kit features stunning matte carbon material, with the details and luxuries that are reserved for competition level kits. 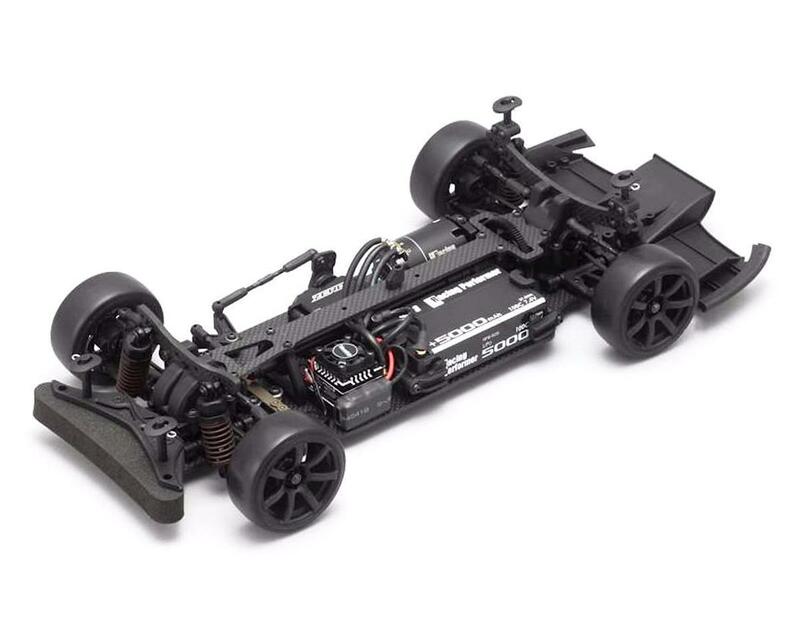 Featuring a rear midship motor position for optimum weight bias and center of gravity, the YD-4 MR produces a dynamic force when sliding. Weight balance derived from extensive testing allows the chassis to slide at deeper angles. The threaded front and rear composite shocks are attached to 4mm thick carbon towers, and absorb the road surface with consistent operation. In addition, the multi-winding long springs are ideal for drifting, increasing traction and realistic driving with a sense of weight. The aluminum steering rack features a hard coated treatment to achieve smooth and reliable operation. The slide rack draws out the optimum Ackermann ratio and draws out the "run" of the front which is indispensable for drift competition. Shorty size batteries can be moved back and forth, allowing you to choose the weight distribution you prefer. The chassis is also compatible with full-size batteries by changing the mounting position of the battery holder.